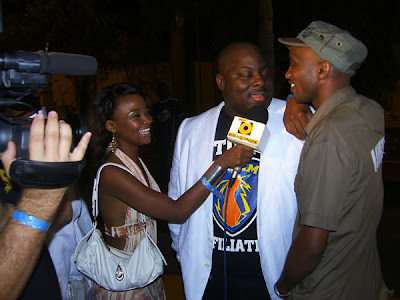 Welcome to Linda Ikeji's Blog: Naija Entertainment Gists. Top Nollywood actress Caroline Ekanem has given birth to a baby boy for her Hausa lover, Musa Danjuma, the younger brother to General Theophilus Danjuma rtd. The stupendously rich Hausa guy is said to be in his fifties. There are talks that the man spoils her silly and is planning to marry her. I hope he does. She's a really nice, down to earth chic. Congrats to her! 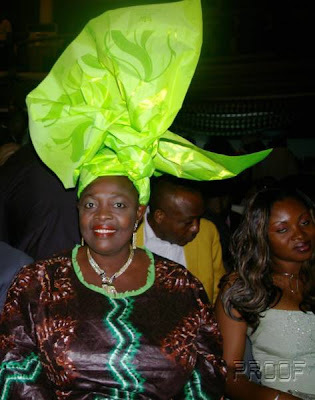 Madam Kofo is said to be ready to set up a manufacturing company where she can manufacture her trade mark 'gele'. The tying of bold and jazzy 'gele's have been her signature look for over two decades since her role as the no nonsense 'Madam Kofo' in the 80's sitcom 'Second Chance' threw her into limelight. I have never ever ever tied gele before, that's not a nice thing to say since I'm an African woman right? Well, let me be more 'unnice'. I like seeing people tie gele but for me to tie one? Maybe when I'm 40? For all you gele lovers, watch out for Madam Kofo's gele company. Tuface and his baby mama, Pero Adeniyi, last weekend held a superlative birthday party for their daughter who turned one. Saw the little girl's pictures...she's the cutest little thing. Also, top designer Zizi Cardow of Zizi Ethnic clothing recently added another year to her age and she had a mother of all parties on the Island. Here's wishing her many more happy returns. Newly married, pretty make-up aritiste Banke Meshida has dumped her signature jazzy dreadlocks for a fresh permed look. Saw her recently, she had this certain glow that tells she's enjoying married life. Storm Music CEO Obi Asika is set to wed his girlfriend of many years Ngozi Oyolu, who he recently bought a Volkswagen Passat. The wedding is said to have been fixed tentatively for the second week of December. Obi is such a cool guy. All the best to him and wife to be. Ex Miss Nigeria Helen Prest Ajayi has a website www.mylifetimesolution.com, dedicated to offering practical solution for everyday issues. You need to go check it out and see how you can benefit from it. Ok that's it for today, let me know what you think of all the gists and 'amebo'. Goodnight! Am definately into d gele tying thingy. I can wear my gele as high as i want, nd i turn heads at parties....lol,but still can't beat madame kofo. i hope she brings out good gele,not too soft,nd not to hard. Ok i will be on d look out for it.Thnks Linda for d info. Congratulations to Caroline and I hope her man marries her. As for Nike Oshinowo, how can such a marriage last when it was contracted by fraud and voodoo. Also did she think she caught a big fish. She should ask Omua Oni-Okpaku, Soleyes ex-live-in-girlfriend who had a baby for him. Well to eaxh is his own. Nike is getting back what she deserves. i hate that woman. I thot Dr Tunde Soleye was already married. So is she like settling for second wife? Wow!.. and Ehi is the cutest thing thank God all thanks to papa. lol. Why did I think Obi got married last year. Maybe I dreamt it up. Oh well. i heard the caroline ekanem's thing and thought it was just rumours? Did you say that the guy she had the baby for is in his fifties? Or did i read it wrong? How old is she? I'm tired of that nike woman. she's old and desperate and needs to leave another woman's husband alone. she hasn't got her own life dats y she's trying to make other women unhappy. shame really!!! And wot is it dat those women see in dat Soleye. He's even got gray hair already...or am is my vision confusin me? Carolina ekanem...(how old is she)? Tuface and Pero, abi? trust them to have a grand party(are they still together)? Kudos to Madam Kofo, at last..
To u, make sure u answer my questions oh... kep it up.. my dear, u're right on points. Everyone knows caroline is there for the cash. well...gluck to them. As for Kenneth Okonkwo issue, the lady being denied can sue, can't she? WHAT IS A GELE LINDA? I love caroline Ekanem,girl is so pretty and also a good actress,no comment on Nike,Kenneth is a crazy wife beater,Tu face,just dont know for that guy,goodluck to madam kofo. Banke Meshida is pretty!! No comment on the other stories. Nice blog Linda.I'll be visiting your blog more often,very juicy naija gossip.I hope I can also get that on Dimoko's blog. Hmmm...so Caroline wan turn to a stay-at-home alhaja now. cAN SOMeone unleash the koko as to why this nike is so staunchly disliked? What has she done so terrible to others? I am not instigating I really want to know, I thought she was a genuine somebody. Is it me or do people always have to call attention to the beauty that an object truly lacks? It would sort of go without saying and stating the obvious (such as Linda's fineness). Naijas pls stop with the consolation! I also saw obi's wedding pictures from yonks, I guess that was the engagement, one tall darkish girl from storm. What is going on with this baby mama syndrome in gidi? Very scary, truly tacky. nike has been reaping where she did not sow all her life,well wat do u know?something is about to happen and she will get the reward of a thief. 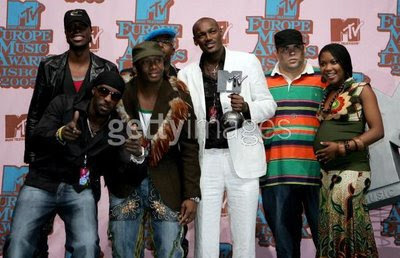 tuface already has a 1yr old?how old is the second kid?BTW, his baby mama aint it. 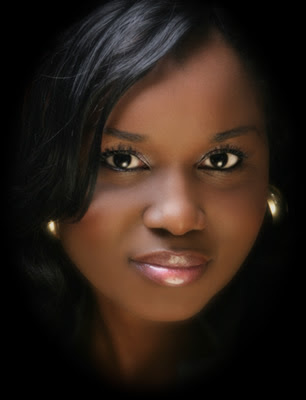 Nike Osinowo is a very pretty woman I dont understand all u haters beefing her.Its not fair now! @gloria, what in d world does dis have to do with her being beautiful. 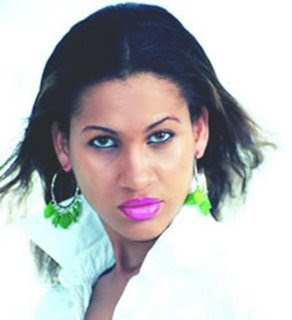 So, what if she won d most beautiful girl in naija pageant donkey years ago? What else does she have to her name? Dis isn't about hating abeg. Let's get real here. D fact is dat she snatched what didn't belong to her. Na at d age of 40something she decided to marry and to a married man with kids for dat matter. wienna,I understand your point.But dont men in Nigeria marry more than one wife?Since when did it become a crime to to marry a man who has a wife already.These things are very common especially among people in the south west,its no big deal. congrat to carol ekanem. what become of her us base boyfriend? Well, I guess all the haters hate is unfounded as there are no solid basis here. I could dislike her as well as I have relation with her mans family but its well known he's been out of touch with that marriage for some time so its the guy that has issues far as Im concerned. I dont understand this trend with young men carrying belle and marrying old men.Wetin de sele now? Carol is just a gold digger! About Mr. Asika- Its been over 2 years since those 2 broke up. Both of them have since moved on. It must be a mistake. i am bothered when i read false and damaging stories written about a person by another with conviction when it's a lie. obi and ngozi broke up about two years ago. he never ever bought her a car.you must have her mistaken for another. i enjoy reading your blog but please next time, confirm your stories before you write as ngozi is my friend and i know stories like this won't go down well with her. Big Up from Kent- London- England o, my people, stumbled against this blog 2day and boy...did i laugh!! I have always been a fan of Madam -de Madam, it is a matter of Cash........i am so glad she is focussing on her trademark now.show dem jo!! do they still sell those tapes of second chance- if you know where i can get them let me know and you will be fully rewarded with " Mama Charlie's Ego"...laugh!! Fashion no no's + Naija Entertainment News.